The cast of Death by Design, a play being performed at Tucson's Live Theatre Workshop. Death By Design. 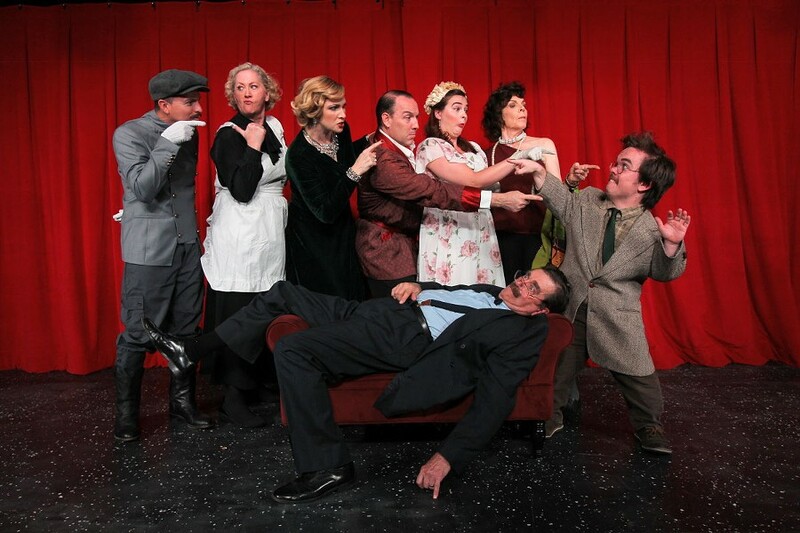 Roberto Guajardo, the director of this play put on by Live Theatre Workshop, says, “While you may not literally die laughing at ‘Death by Design,’ you are guaranteed to chuckle, chortle and guffaw at this comedy/murder mystery.” Well sign us up! We’re especially intrigued that he doesn’t guarantee no audience members will literally die, only saying that we “may not.” The show is about playwright Edward Bennett and his wife, actress Sorel Bennett, who fled London for their country manor after a disastrous opening night in 1932. One by one, ridiculous guests—like a fiery socialist and a nearsighted ingenue—start showing up, and, of course, one of the guests ends up murdered. Who did it? There’s only one way to find out. 7:30 p.m. on Thursdays, Fridays and Saturdays and 3 p.m. on Sundays from Saturday, Oct. 13 through Saturday, Nov. 11, with an additional Saturday matinee on Nov. 11. Preview shows at 7:30 p.m. on Thursday, Oct. 11 and Friday, Oct. 12. Live Theatre Workshop, 5317 E. Speedway Blvd. $20 GA, $18 military/student/senior, $15 Thursdays and previews. Details Here. Tucson Celebrity Topgolf. Join Topgolf and enjoy a red-carpet event with a list of celebrities. All admissions will include an exotic car and red-carpet entrance, a premier dinner and at least one drink ticket. You will able to compete against (or support) a celebrity for prizes and trophies in the “TopContender” Tournament. Celebrities include: Rick Barry, Barbie Blank, Grant Fuhr, Jacob Young and many more. 5:30 to 9 p.m. Thursday Oct. 11. 4050 W. Costco Place. Spectator Admission: $75, Regular Admission: $100, V.I.P. Admission: $150. Details Here. Uncle Bear’s Beer Dinner. 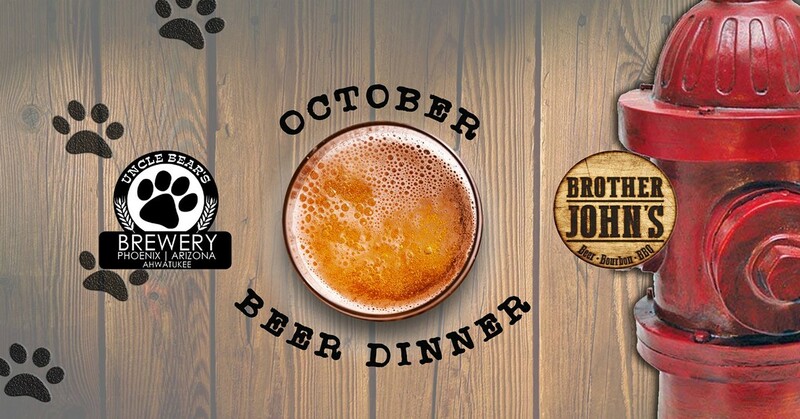 Brother John’s is teaming up with Uncle Bear’s brewery for a Beer dinner. Uncle’s Bear’s will provide the beer and creations from Brother John’s scratch kitchen will be for dinner. 6 to 9 p.m. Thursday, Oct. 11. 1801 N. Stone Ave. Details Here. 2018 Film Fest Tucson. Across multiple venues downtown, the third annual Film Fest Tucson features movies of no particular genre, but promises them to all be unique and unexpected. Including documentaries, short films, action, adventure, special events and more. 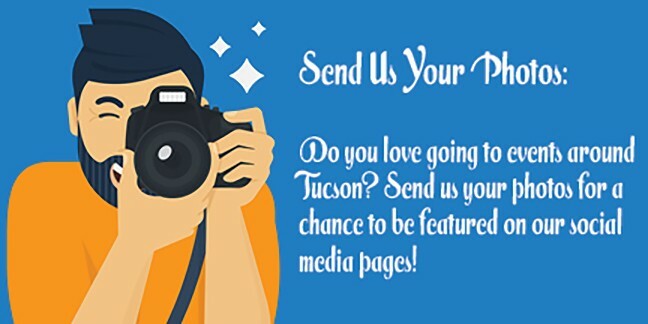 Visit filmfesttucson.com for more information or see next week’s Tucson Weekly. Oct. 11 to 13. Details Here. Samskara. For many people, the dawn of the cool fall weather is enough to make them feel like they’re traveling to a whole different world. But maybe you want to take it a step further and feel like you’re traveling to a whole different dimension. The Flandrau Science Center & Planetarium has got you covered. This show pairs animated illustrations by Android Jones with EDM/trip-hop music by Tripper and displays them on the dome of the planetarium theater for a truly immersive experience. Seriously, this show is going to be beautiful, so don’t miss its very limited run! 8 p.m. on Thursday, Oct. 11, and Saturday, Oct. 13. 9 p.m. on Friday, Oct. 12. Flandrau Science Center & Planetarium, 1601 E. University Blvd. $12. Details Here.